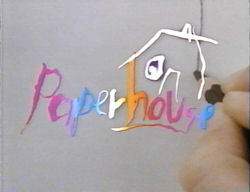 I have known of the existence of Paperhouse since I was a kid, but I never rented it. 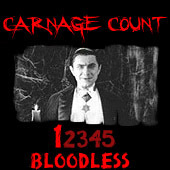 It was at every video store in my town, but for whichever reason, I never paid any attention to it (damn those Friday the 13th movies). Around three years ago, I purchased it at a local store’s clearance of old videos and at that point it had gotten a reputation of being quite good and a bit on the harder side to find. The box art makes a bold statement, with a quote from Variety that states, “Paperhouse is the thinking person’s Nightmare on Elm Street.” The rental sticker on my box says thriller, the plot cries fantasy yet all the quotes on the box make it out to be a horror film, so if anything, I went into this one not knowing what to expect. Quite frankly, it was the best way to dive into the fantastic world of Paperhouse. Anna (Charlotte Burke) is a troubled child from a family that doesn’t quite have their things together. Her father is never home (why is never fully explained, it is either work or alcohol related, most possibly a combination of both) and much like a child with family problems does, tends to act out on occasion. She seems to be a good kid with a bit of a bad attitude and a hope for things to be right with her family life. One day at school she draws a picture of a house with a small fence around it. A girl in class makes a snide remark to her and takes her drawing book, so Anna pulls her chair out and makes her fall to the floor, which gets her a date with the hallway. Anna knocks on the door and informs the teacher that she’s ill and feeling dizzy. The teacher dismisses it as a fib and does nothing. Anna drops to the floor and wakes up in the world of her picture, a wide-open area with nothing but a simple house in the middle of nowhere. Anna’s mother is called and Anna tells her that she faked it, hoping to get out of trouble because it was her birthday. Her mom takes her back to school where she proceeds to skip with an older friend. They play hide and go seek before Anna faints again while hiding and she wakes up back in her little world with the paper house. She can’t get in and wakes up when police find her and is taken home. She decides to edit her picture to put a small boy in the window with only his head sticking out. The boy looks very sad and Anna tries to erase him to make him happier, but the eraser doesn’t take the pencil off the paper. The next time she goes to sleep, she wakes up in the same world once again and this time, encounters a boy where she drew one on the picture. 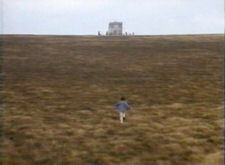 The boy’s name is Marc (Elliott Spiers), who has little use of his legs. The two become friends and Anna discovers what she adds to the paper is present in the dream world. Anna’s doctor informs her of a little boy who is her patient who suffers from muscular dystrophy and ironically; his name is Marc as well. Paperhouse is an fantastic voyage into a world not of our own, an alternate reality that exists between two children who have various troubles in their lives and vivid imaginations, yet have never met in the real world. You could read a hundred reviews of Paperhouse and you will get a hundred different interpretations of the story. Unlike any film I’ve seen before, the events of this film are entirely up to you. The atmosphere is so surreal and the first time you see Anna running up to the paper house, it really pulls you in and holds onto you. Every small detail Anna puts into her drawing causes a reaction in her dreams and the first time she meets Marc, she can’t even go in and see him. When she asks why, he simply states that there are no stairs. She draws stairs in the house with him on them, but this time he has legs. When she enters the dream again, she can go up the stairs, but the legs she drew are there without a body before crumbling to dust. This is the first instance you realize that there is a definite tie between the dream world and the real world and how they both melt together. She can give Marc toys and a fruit tree, but you can’t give him back what he really longs for. You often wonder why they’re in the world they’re in and the only real explanation we get is when Marc says he got there by doing something wrong and “they left me here.” No indication to what he did is given to you throughout the film. He believes Anna has done the same to get there and she can’t figure out what she did. In my personal opinion (like I said, this movie is entirely up to the viewer) is that in Marc’s real life his illness is burdening his family and he is bitter at himself for having everyone else have to tend to him and weighing them down. He looks at the dream world as his real world, and wishes to stay there and never leave. The ending is much like the rest of the film, it’s totally up to you exactly what it means and how to take it. It is both touching and sad, all the while further coagulating the two realms the kids reside in. It’s pretty hard to review a movie like this, and I think the reader just has to see if the plot interests him or her and if it does, roll with it. There’s a good chance you won’t be disappointed and you will take something from the experiences of these kids coming together via something that isn’t explained (and is best left that way) and how they affect one another’s lives positively. Seeing how Marc is always in the dream world, his condition must be rendering him unconscious most of the time and he even asks Anna how he is doing in the real world health wise. Hope is a strong theme of the movie if you choose to look at it like I do. Before Anna, Marc is stuck in a world all alone and is content there (or at least thinks he is), but her presence teaches him to keep up the fight for his life. It’s subtle though and depending on how you choose to look at the film, you may or may not see it. If you’re asking yourself just what the hell Paperhouse is doing on a horror movie website, you’re partially right. The film is mostly set in a realm of fantasy that is never laid out on the table for the viewer. 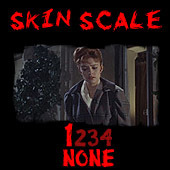 The main reason this film is considered horror is because of one scene in particular (although horror is hinted at earlier). Anna draws her father so he can carry Marc out and bring him back to the real world and messes up, drawing him with an angry look on his face. After seeing the effects of her drawing on the young boy, she scribbles out her father’s face from the picture. In her dream world, her father is a murderous lunatic who comes after the kids with a claw hammer. He recognizes Anna, but has no idea why he is there or what is going on and is blind; his eyes appear to have been ravaged by something or simply grown shut. 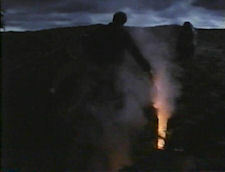 The dream world opens up to reveal fiery lava under the earth and the tone of the scene is so effective and scary that there’s no wonder people consider the film horror. The one horror scene in the movie (it probably lasts about 10 minutes) is as effective as most any horror film in its entirety. As beautifully surreal the dream world is to you when it’s Anna and Marc alone, it is as beautifully terrifying during this scene. It works perfectly in the film, though, because the two characters are polar opposites with Anna having a zest for life, but Marc is more depressed and reserved. The fact that the setting of the dream world could be dazzlingly gloomy, scary as hell or a beautiful sunny day is an appropriate reflection of the lives of the children and the aforementioned juxtaposition of the characters personalities. It is as though Anna’s thoughts and hopes at the time have an effect on the mood of the dream world and seeing as her imagination is vivid, that is also reflected. Paperhouse is a wonderful movie in every aspect. The music, direction and acting are all top notch and the thought provoking nature of the film will appeal to those who are tired of having everything in movies spelled out to them. At its core, the film is about having someone to lean on and someone to help you through the tough patches in your life and it speaks with an honesty rarely seen in a horror film. The only bad thing I can say about the film is it should have ended in the scene before it did. Although the scene I would personally omit shows strength of the bond between the friends and maturity, it would have been much more poetic had it ended the scene prior. I’m not usually one for horror/fantasy films, but everything about the movie is so interesting that it’s no wonder so many people have fond memories of the film and why it is highly regarded amongst genre fans to this day, even without a DVD release. It is a British film, so some of the dialogue is a little harder to understand, and it’s too bad Vestron didn’t have closed captioning on their release. At the end of the day, if you’ve seen Paperhouse, you may disagree with thoughts present in this review or you may take them as a different way of looking at the movie in general and that is what makes the movie so appealing and wonderful. At heart, Paperhouse shows the power of friendship and is most accurately a kid’s horror film intended for adults. Buy it!